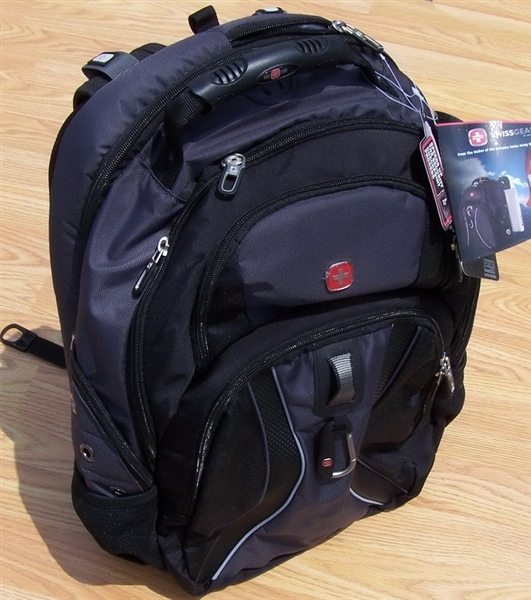 This is for one Brand New 17" Gray Swiss Army Laptop Backpack Back Pack Grey. Wenger Swiss Gear Scan Smart Laptop Backpack - designed to accommodate most 17" laptops. It has multiple external pockets, an external headphone port with internal pocket, carry handle, shoulder straps and air-flow back system for comfort. At airport checkpoint, you can open into a flat position and expose the laptop for easy transport through airport check points. 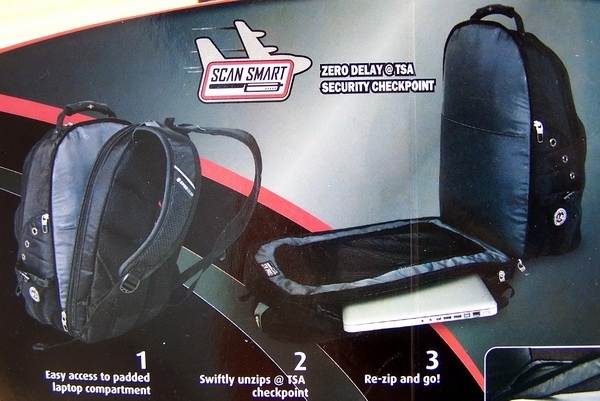 The laptop remains in the bag but is visible for inspection at the same time. Just keep the area above and below the laptop section clear. 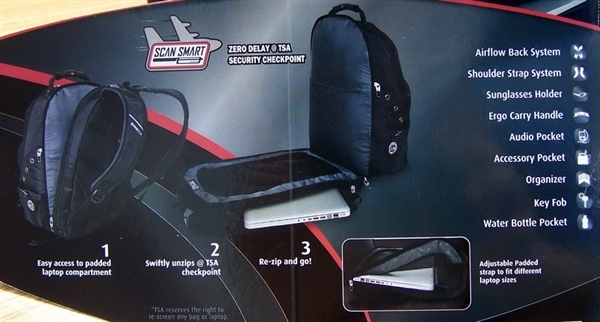 This unique adjustable-size padded compartment is designed to accommodate most 17" laptops. - Water Bottle Pocket - External Dual Pockets feature elasticized mesh which expands to secure your water bottle. - Laptop side entry access.